There’s been much buzz on the Internet recently about the absence of young adults in churches. Numerous blogs, research statistics, and denominational reports point toward this significant decline. There have been countless comments and conversations about the reasons Millennials are not connecting to church. But I’m not quite ready to say “the sky is falling” just yet. Why? Because I believe the Lord is going to use this generation significantly to proclaim the kingdom of God in a world that’s seeking for hope in something. There are obvious characteristics among the Millennial generation that will be used to take the gospel into the dark places of our world. • The Millennials (born between 1980 and 2000) are on track to be the largest generation of our time. There are over 78 million live births recorded during this time in the U.S.
• The Millennials are not a generation to ignore. They value diversity, relationships, and education. A great read for anyone interested in learning more about this generation is The Millennials by Dr. Thom Rainer and Jess Rainer. A significant finding among the Rainers’ research was that only 13 percent of Millennials consider spirituality of any type as being important to them. Does that finding bother you? I hope it does! I had a mentor who often pointed to the significance of Matthew 9.35-38 and how those verses spoke very clearly to the importance of placing an emphasis on reaching college students and young adults. When He saw the CROWDS (emphasis added), He felt compassion for them, because they were weary and worn out, like sheep without a shepherd (v. 36). The Millennials constitute a CROWD. Some versions of scripture say “multitudes” or “masses.” Regardless of the translation, there were a lot of them. The Millennials comprise the largest generation of all time. But are we stirred for them? Do we have deep compassion for them? According to the recent findings, I’m not so sure churches are deeply stirred. I’m not OK with throwing my hands up and having a “sky is falling” attitude. I believe the Millennials have a beautiful place in the life of the church with much to contribute. But church members and leaders must begin a concerted effort to lead our ministries toward being stirred for the Millennials. Will you understand all of the characteristics of what make the Millennials tick? Probably not. But they don’t understand you either. Does that give us the excuse for not trying to connect with each other? Absolutely not! So…now what? Here are three practices churches can implement to engage and disciple one of the most exciting generations of all time. Pastors and ministry leaders should set the tone for having conversations with young adults in our communities. Pray that the Lord will give you eyes for the young adults around you. Where do they gather? Who are they? What are some of their needs? Many of us are often surrounded by young adults daily, but we never initiate conversations with them. Most Millennials desire to have connections with those outside their generation. Never assume they don’t want to talk with you or want to get to know you. 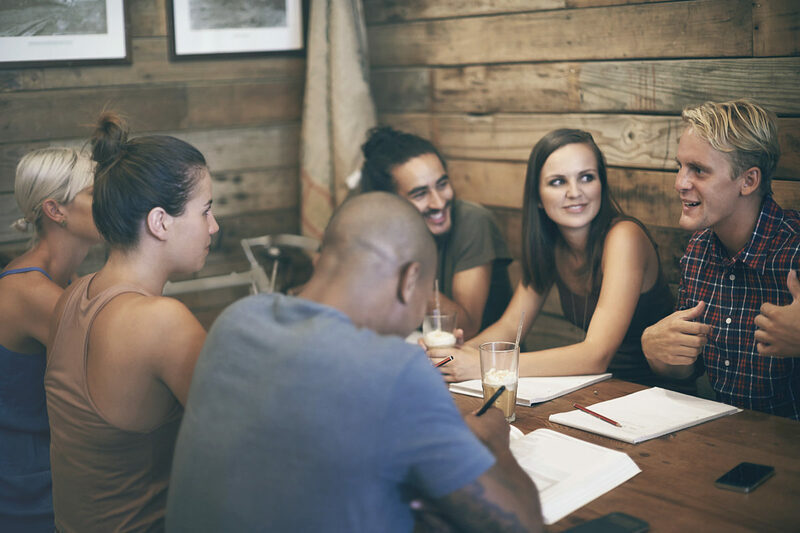 Millennials are highly relational (although it may take different forms of relational values than we may be comfortable with), and they desire to learn from those who have more life experience. Go out on a limb – begin conversations with young adults. Know where they are in your community! Churches with a culture of mentorship have no lack of young adults involved or seeking out their church. When a church understands that mentoring is not about what you know and more about doing life together, significant multi-generational relationships will develop. Pastors and ministry leaders play a significant role in modeling this biblical concept for individuals in our churches. Who are you mentoring and intentionally encouraging in their walk with Christ? Who are you investing in? Who are you sharing the gospel with? Mentoring isn’t exclusively for believers; the mentoring process can begin long before a Millennial comes to know Christ. Consider guiding your church body or ministry team through the Threads study Mentor by Dr. Chuck Lawless. Establish a standard of mentoring in your church, and you’ll see young adults become connected in ways they’re currently not. Millennials often visit our churches only to find there isn’t any specific programming for them. Most churches’ Bible study groups and worship gatherings do not often reflect anything relevant or important in their lives. As churches become passionate for young adults, Bible study and weekly programming should speak strongly into their lives. There are countless tools in the Threads/LifeWay resource library that can help you design small groups and studies for young adults. Bible Studies for Life and Explore the Bible both have young adult versions to help you point Millennials toward a growing relationship with Christ (and one another). Explore ThreadsMedia.com for the complete catalog of young adult-specific resources written by individuals who love young adults. I’m not ready to give up. Do we have work to do? Absolutely! Let’s pray for our hearts to be stirred for the largest generation of all time. Let’s pray for God to do something among Millennials that can only be explained because a generation began to fall in love with Jesus and live out the kingdom of God among themselves. Population born in our era. 1978 to 1980. I pray that all are reached in collages and secular careers through our mission fields of young & old Christian deciples or that God will convict them to search our Churches that rightly devide the WORD of GOD. That they all will have a chance to come to CHRIST! Those stats are scary if we compare them to former U.S. generations. But if we did a missions approach and compare those stats to other places around our globe then those stats wouldn’t be that significant.. They might even be encouraging if we say compared them to Chinese young adults of the same age bracket. And that is the biggest change we need to make. We need to realize that this is no longer a Christian culture. That means our strategies need to be more influenced by how missionaries engage other cultures than by how we have engaged the U.S. in the past. When the church identifies a people group that is lacking in access to the Gospel (when we are acting like the church) we suit up and engage that group as missionaries. We take the Gospel to them. This method holds true for Beijing, Bangalore and the Starbucks across the street.